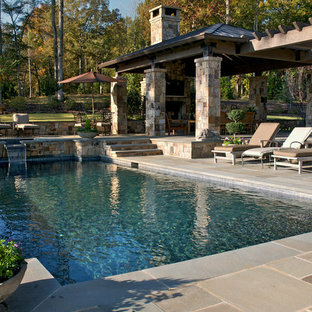 Whether you want inspiration for planning a rustic pool remodel or are building a designer pool from scratch, Houzz has 7,429 pictures from the best designers, decorators, and architects in the country, including Closet America and Steadfast Construction. 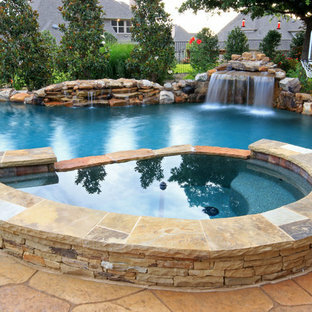 Look through rustic photos in different colors and styles and when you find a design that inspires you, save it to an Ideabook or contact the Pro who made it happen to see what kind of rustic pool design ideas they have for your home. 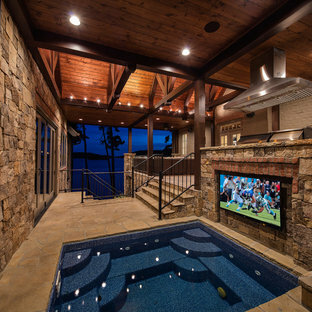 Explore the beautiful rustic pool ideas photo gallery and find out exactly why Houzz is the best experience for home renovation and design. 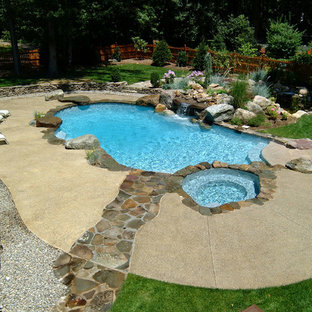 Inspiration for a large traditional full sun backyard stone landscaping in DC Metro. 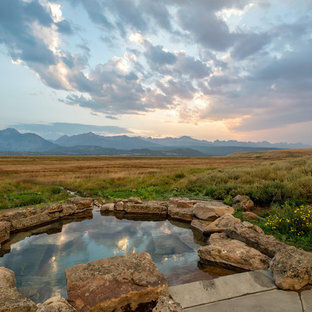 Featuring a beach entry, a spa, waterfall, and beautiful stone work, the pool area is sure to leave swimmers of all ages relaxed and refreshed. The 3,400 SF, 3 – bedroom, 3 ½ bath main house feels larger than it is because we pulled the kids’ bedroom wing and master suite wing out from the public spaces and connected all three with a TV Den. Convenient ranch house features include a porte cochere at the side entrance to the mud room, a utility/sewing room near the kitchen, and covered porches that wrap two sides of the pool terrace. We designed a separate icehouse to showcase the owner’s unique collection of Texas memorabilia. 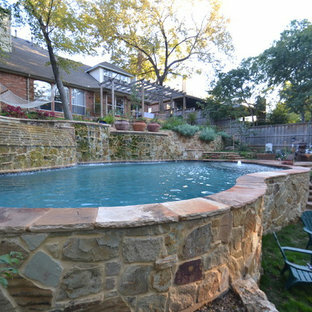 The building includes a guest suite and a comfortable porch overlooking the pool. The main house and icehouse utilize reclaimed wood siding, brick, stone, tie, tin, and timbers alongside appropriate new materials to add a feeling of age. 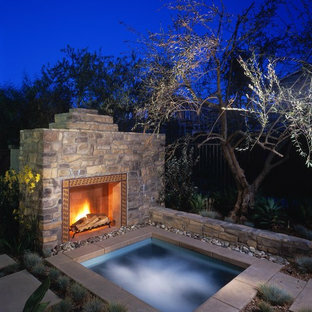 By Kim Raymond Architects, Inc.